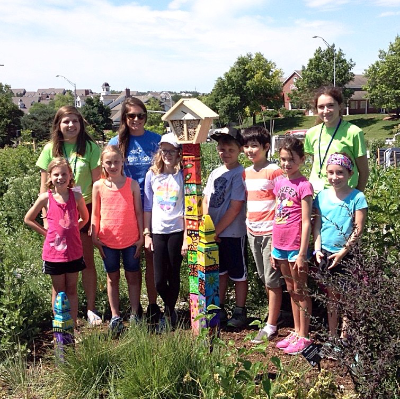 Bright Lights is a non-profit organization that has established a long tradition of offering engaging, high quality summer learning classes for elementary and middle school students (grade level as of March 23, 2019). With more than 100 classes offered each summer, there is something of interest for every student. Bright Lights is not affiliated with the public schools and has no residency requirements. Bright Lights' 2019 main program site is at Holmes Elementary School, 5230 Sumner Street, where 75% of our classes are held. The International Program is at Lux Middle School, 7800 High Street, during Program Week 3 (June 17 - 21) from 9 AM - 12 PM. Our remaining classes are held at community sites. Directions are available for all Bright Lights class sites and field trip locations. For additional information, visit FAQS, Policies or general registration information. Class Assistants play a valuable role in the summer program as their work in the classroom helps ensure a successful week for the teacher and the student. Bright Lights welcomes students who have completed eighth grade or higher, college students, and interested adults to apply to assist in the classroom. Bright Lights is a minds-on, hands-on environment and we encourage your student to be dressed for fun, active play and learning. Snack and recess will be part of the daily routine. Specific instructions about class attire (costumes, theme days, etc. ), special items (such as a stuffed animal or doll) and craft supplies (cans, paper tubes, etc.) that can be brought from home will be communicated by the teacher the week before class is scheduled to begin. Parents/guardians, grandparents and friends are invited to join their student(s) for a Friday Open House to share experiences from their Bright Lights week. 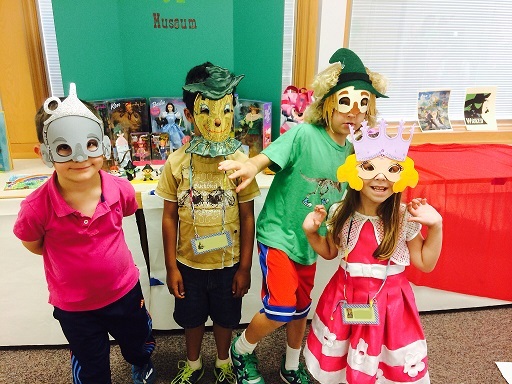 Most open houses are held during the last 30 minutes of each half-day class or full-day camp. Morning classes meet from 9 AM - 12 PM, and afternoon classes meet from 1 - 4 PM, Monday through Friday. Program fee for each half-day class is $135. Additional fees may apply. Most classes are held at Holmes Elementary School. Held 9 AM - 4 PM, Monday through Friday. Program fee for each full-day camp is $270 and includes supervised lunch care. Additional fees may apply. Students bring a sack lunch. Before Care from 7:30 - 9 AM for registered students for $20 per week. Includes organized activities. Available at Holmes Elementary School during Program Weeks 1, 4 and 5 only (June 3 - 7, June 24 - 28 and July 15 - 19). Lunch Care from 12 - 1 PM for registered students for $15 per week. Students bring their own sack lunch. Bright Lights' staff provides supervision. Need-based scholarships available on a first-come, first-served basis as long as funds are available. Does your student require a Bright Lights form, such as a Scholarship, Medical or Class Release/Permission Form? Please check our Student Resources page for additional details. Click below to view each week's class and camp offerings with detailed information about dates/times, class descriptions and field trip information. Need additional assistance? Please call the Bright Lights office at 402-420-1115, ext 45, or click "Contact Us" below.